Join Us! On one of our Lotus Vine Journeys retreats. This page gives detailed information about how to make a reservation, contact us and to send a retreat deposit. All the information a guest would need to attend a Lotus Vine Journeys, Ayahuasca retreat is provided here. These retreat dates are updated on a weekly basis as to availability. Fill out the Booking Form below with your requested retreat date, accommodation request and submit online. Upon receipt of your Booking Form, we will contact you to set up an, "Information call or Skype chat". This call is for us to get to know you and to answer all of your questions about the retreat. After the Info call the $800 dollar deposit and the Pre-Retreat Questionnaire must be submitted in order to officially reserve your spot. Payment of your remaining retreat fees will be payable 30 days prior the start of the retreat. Email reminders will be sent as this date approaches. In the months prior to your retreat, we will issue a comprehensive Retreat Information Booklet in PDF format that you can print out. This booklet is designed to be as detailed as possible so that you can reference any questions you may have about preparation, packing, transport logistics, retreat schedules, dietary tips, etc. - This is a crucially important part of any application to ensure we are effective and professional in the care and environment we provide for you and other guests.You will be asked to make honest and accurate confidential disclosures so that our facilitators and healers know all about your particular needs and any relevant conditions, in particular any history of medical conditions, addictions and/or mental illness. Should we have any concerns, we may request further information from you. In rare circumstances, we reserve the right to seek your authorization to inquire with relevant medical professionals. It is important to note that even with a 'medical condition' or combination of medical conditions, this DOES NOT necessarily mean you are illegible to attend our retreats. We do however reserve the absolute right to decline any Booking Request based on our due diligence assessment process. If any Booking Request is declined, a full and immediate refund of your deposit will be provided. This depends on who you are traveling with. Do you require a shared room, a couples room if traveling with a spouse, a shared room if traveling with a friend or seeking your own room (upgrade option)? Thank you for your booking with Lotus Vine Journeys! We will get back to you shortly. If you have any questions about our retreats or general inquiries, please feel free to email us at info@lotusvinejourneys.com. In order to secure your reservation a deposit of US $800 is payable. This deposit is non-refundable. If for some reason you cannot make the retreat, this deposit can be transferred to a later retreat either in the same year or the following calendar year. The remaining balance for your retreat is due and payable within 45 days of the starting date of your retreat. Cancellations received within 30 days of the start of your retreat are non-refundable. Depending on circumstances a portion of your balance can be transferred to another retreat. Below is typical of an Ayahuasca Retreat agreement between Lotus Vine Journeys (the "Organizer") and the “Participant”. 1. 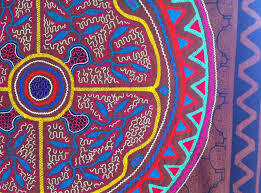 The Participant agrees to take part in Ayahuasca and medicinal plant ceremonies with the Organizer and been advised that Ayahuasca is a visionary plant and is clear on the meaning for this. 2. The Organizer will do their utmost to ensure the safety and comfort of the Participant within the remit of the retreat. The Participant, in turn, agrees to exercise caution and consideration for him or herself and for others during this event and indemnifies the Organizer against claims for injury or loss. 3. The Participant has agreed to make any confidential disclosures (in writing) at the time of booking regarding their medical conditions and / or use of any medication. The Participant also agrees to notify the Organizer of any change in their medical circumstances. 4. The Organizer recommends that the Participant, prior to entry into this Agreement, seeks and obtains health or medical advice as to the effect of plants singularly and in combination with any medication they are taking. 5. The Participant avows that he or she is in a physical and mental condition appropriate to the activities described in this retreat and agrees to participate at his or her own risk. The responsibility for taking accurate and timely health precautions - alongside professional medical advice - is with the Participant. - anti-hypertensives (high blood pressure medicine) appetite suppressants (diet pills); medicine for asthma, bronchitis, or other breathing problems antihistamines, medicines for colds, sinus problems, hay fever, or allergies (Actifed DM, Benadryl, Benylin, Chlor-Trimeton, Compoz, etc. ); CNS (central nervous system) depressants; antipsychotics. 7. Should any attendee decide to leave a retreat organized by Lotus Vine Journeys prematurely, for any reason, Lotus Vine Journeys is not responsible for any reimbursement of monies or for denouncements by the attendee. 8. Lotus Vine Journeys neither consents to nor will it supervise any activities we deem dangerous. That includes tree climbing, swimming in the river, exploring the deep jungle alone, swimming in the pools at night. 9. Participants will respect the group and individuals, on the retreat, at all times. Overt negativity or disruptive negativity directed to the staff and / or the group or individuals detracts from the experience of the others. We reserve the right to expel any individual who is acting in an excessively negative manner disrupting the group and/or the shaman. 10. During the course of a 14 day retreat, if a participant’s behavior presents a threat to the safety of themselves or others, we reserve the right to physically restrain the guest and/or expel them from the retreat. Guest restraint will be conducted as gently as possible and with respect for the dignity of the guest. 11. There must be no sexual activity whatsoever between participants and/or staff during a trip. This includes married couples. Should you develop a sexual or romantic interest in another person, we respectfully request that you delay any sexual contact / activity until the trip is over. This prevents the potentially dangerous crossing of energetic fields which can result from sexual behavior while engaged in Ayahuasca ceremonies. Sexual abstinence must be maintained seven days before your first and seven days after your last Ayahuasca ceremony. 12. Lotus Vine Journeys reserves the right to expel without refund any guest who breaks any of these rules. 13. It is essential that you abstain from eating pork at least 2 weeks before you attend a retreat. Consumption of pork or pork products is not allowed during the stay or until 2 weeks after your last ceremony. You must abstain from drinking alcohol and taking any narcotics 1 week before a workshop. Alcohol or narcotics (including marijuana) are not allowed at the retreat lodge at any time. They must be abstained from for a minimum of 1 week after your last ceremony. 14. The participant understands that this kind of retreat involves many risks, and agrees to take full responsibility for all risks involved, understanding that the organizer is not liable for any claims of injury/ harm or loss. 15. The participant understands that there are plenty of environmental conditions/ problems in the jungle for which we cannot plan, and the participant acknowledges that there is a risk in this. The participant agrees that Lotus Vine Journeys is not liable to pay any extra expenses for any delays or problems that are caused due to environmental conditions that are beyond our control such as earthquakes/ landslides etc. Any losses or delays caused by these will be covered fully by the participant, and no refund will be given for days of the retreat lost due to environmental disaster. 16. The participant understands that Lotus Vine Journeys is not liable for any injury/ harm/ loss of any participant that may occur during or after the retreat. By purchasing a retreat with Lotus Vine Journeys and signing our contracts, the participant expresses full understanding of and responsibility for the risks that they may encounter during this retreat. The participant absolves Lotus Vine Journeys, its owners, and employees of said responsibility.